Hi everyone, I am Connie Prince! I live in the beautiful state of Georgia, just outside of Atlanta! I am happily married to my best friend, William, we celebrated 18 years this year! We have one amazingly talented and witty son, Hayden, who is 16 years old. We also have two dogs, Widget and Mokka, who complete our little family. I love to do Zumba, read, craft, draw, travel, and spend time with my friends. I have been scrapbooking since I was a child, there were not very many options back then so I would doodle and use what I could find to decorate my books. 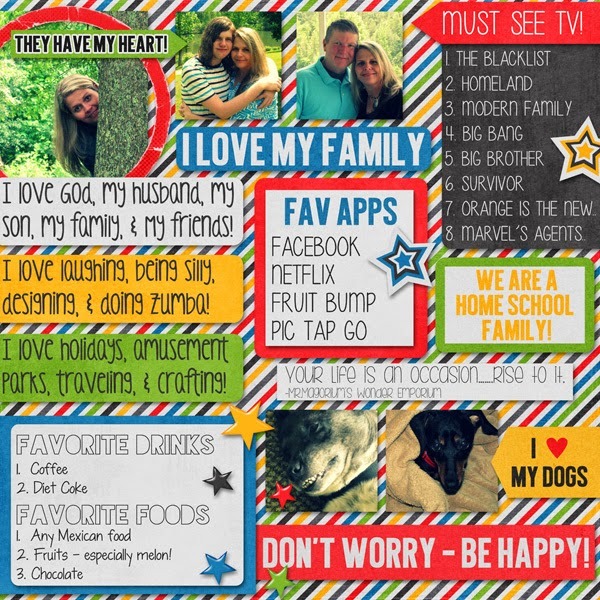 In about 2005-2006 I found the world of digital scrapbooking and immediately knew this was the way for me. There were not that many stores and designers then so I began to dabble with making my own items. Joining my first store in 2006 and I have been working as a full-time designer since. It has been an incredible journey and I am very thankful to do what I love! My Memories Design Shop and enjoy 30% OFF!